It has been a great week. 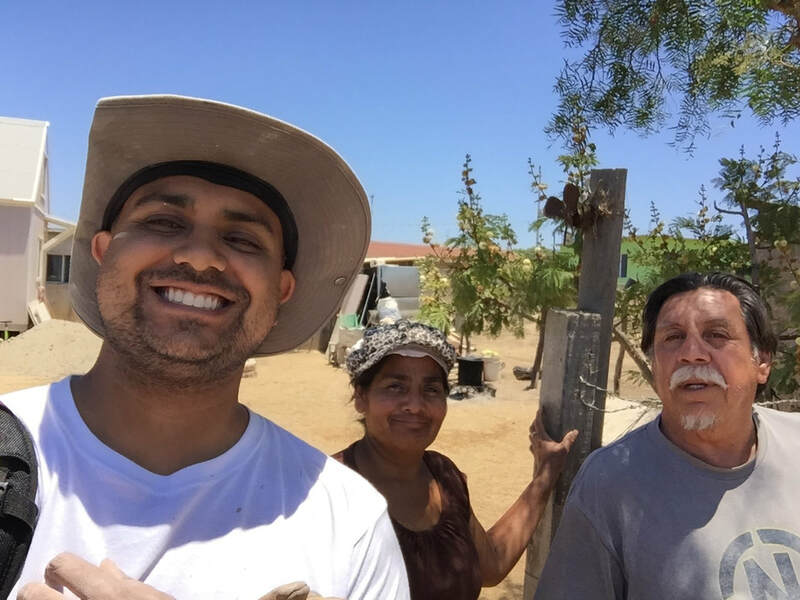 Seeing God work in us and through us is something that has continued to follow me throughout my years in Mexico. The people and the relationships are what keeps me coming back. The last full day in San Vincente brought many smiles and lasting memories. As we did a bit of a round robin to see all the work we had done, we remember that it really God who was at work in us this whole time. This work may not be as physical as pouring a floor, or as tangible as digging a fence post hole, but his love is always apparent, and if you look, he is ever present and working in our lives. The finished bathroom with Marcelino and his family. 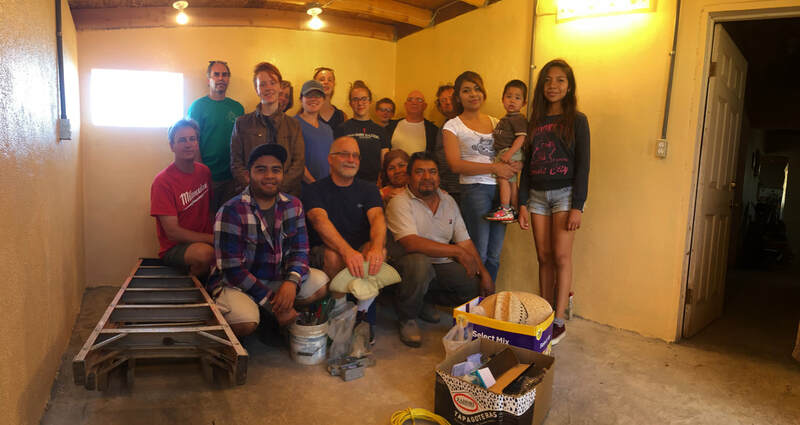 Through blessings from the RVCC and other donations from the team, we were able to purchase paint, a light fixture and supplies for a beautiful stucco finish for the bathroom. 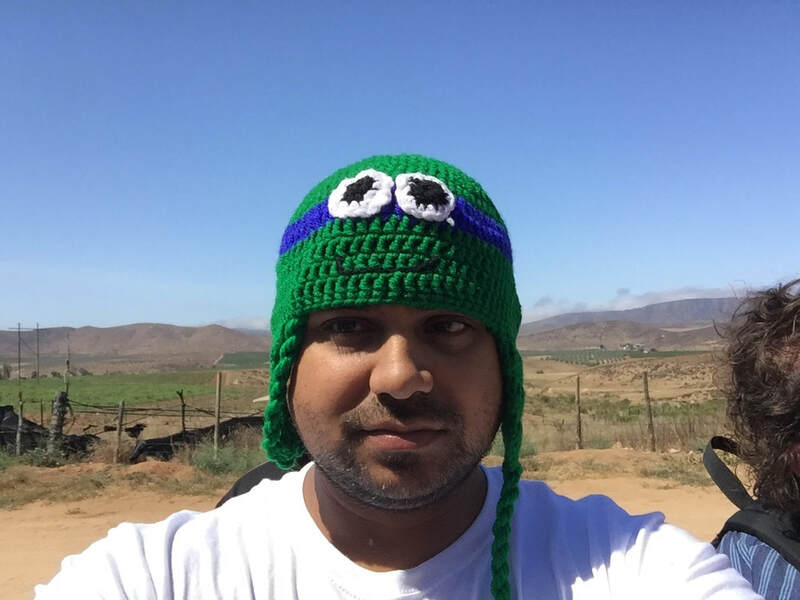 This is me in a Ninja Turtle hat. My wife hates this. I did not get to buy this. One of the women who graduated from the Casa Ministry comes by each trip for us to purchase gifts and things from her shop. Many of the youth from our church bring home ponchos and bags, or beautiful blankets to share with people and supporters at home. The last day in San Vicente was awesome. This town of San Vicente celebrated a milestone 75 years as a township! There was a parade with cowboys, trophy trucks, dancers, and best of all the kids from Casa Del Pastor! The Casa celebrated a milestone as well- 22 years in service to the women and children of Mexico. 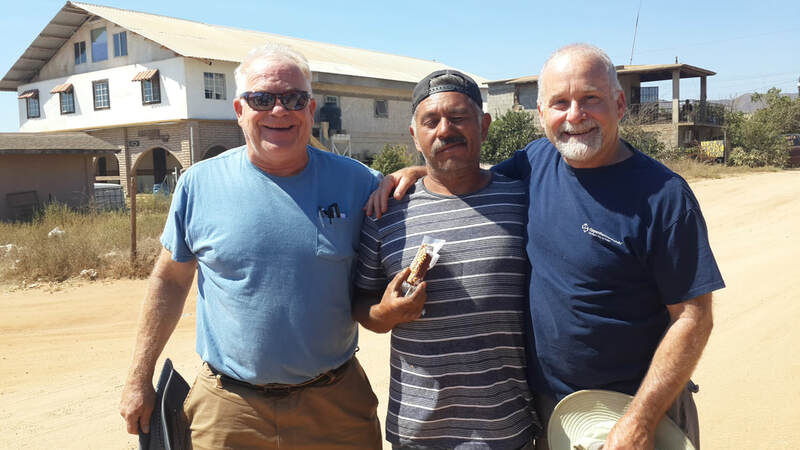 It was site to see when Raul came by from working on the the Calvary Chapel church across the street. He was working on a team with Pastor Scooter (Mark) and another missions team to roof and expand some of the children's area on the church. Look at this guy! Raul lost over 50 lbs- hardly recognized him! He is someone who has an amazing story of how God reunited him with his family after years of turning down the wrong path. 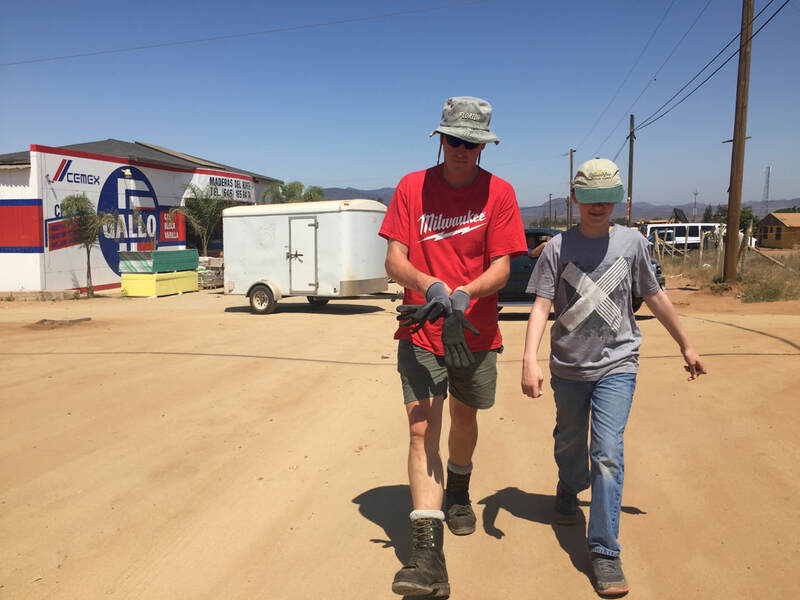 He has working with RVCC for over a decade, and is a graduate of the Men's Ranch, Piedra Viva, the addiction recovery ministry. He has always been a man of very few words, but a grand smile (and an even better sense of humor). It is great to continue to see him grow every year in service. Each meal we ask someone from the team to give their testimony. It's the story of how God intersects our lives and how we begin our individual journey of faith together. This evening we were blessed to hear several testimonies including Rudy and Diosey's, the missionaries we have grown to love and support as part of the RVCC family over the last decade. This is just the tale end of their story of how they met, but it gives a wonderful look into their lives. 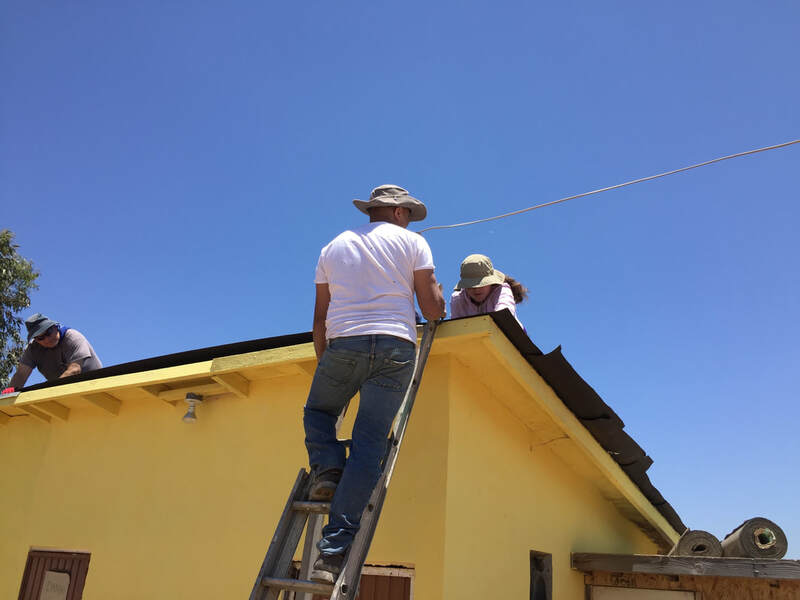 Another project we worked on was repainting the underside of the eaves at the Casa Del Pastor. 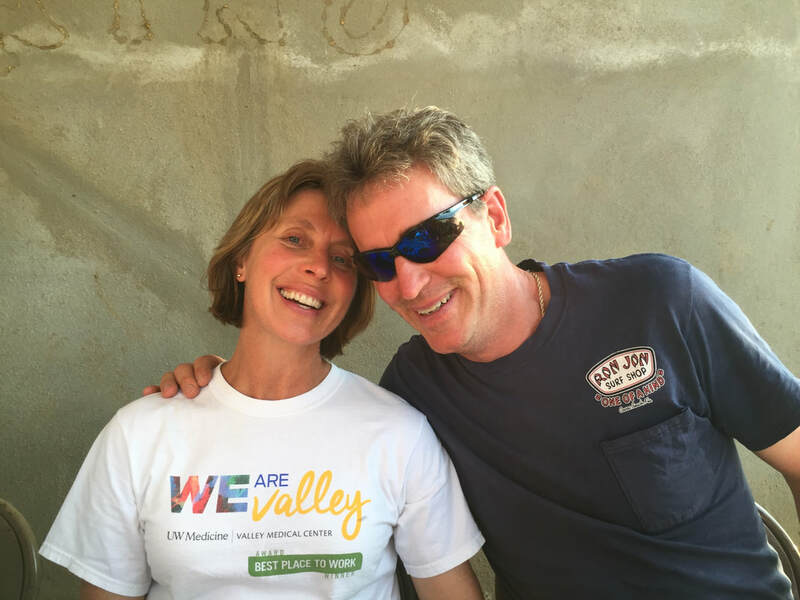 Tom, Elaine, and crew worked on a team to paint over 200 feet of eaves in the hot Mexico sun throughout the week. However, once once task is complete that are always more to be done. Heath, Tom, Mackenzie, Chelsea and Isaac all worked tirelessly on adding new fencing to the Casa's courtyard. This fencing had to to be mounted with 14 post holes dug into the thick clayground. Luckily Sandy and Sabin were quick with the water to reduce the mud to a more easily removeable slurry. Heath, Tom and I finished the job pounding in staples to the wood to hold the chicken wire. All this was put in place to prevent the many kids at the casa from trampling over the newly planted grass. Below is a action video of Heath and Tom working together to staple up over 40' of wire to complete the fence. One person had to hold the wire in place, while the other put their weight against it to stretch it and pound in staples with the hammer. First Mexican Bus Ride to the Hardware Shop for Supplies! This is the bus we donated to Rudy several years ago from our church. Ask Sandy about the adventure and getting it down to Mexico. It goes to show how much of a fine steward Rudy and his church are of the resources that are given to them. The bus is fully licensed and insured, and Rudy does the maintenance to keep it running smoothly. 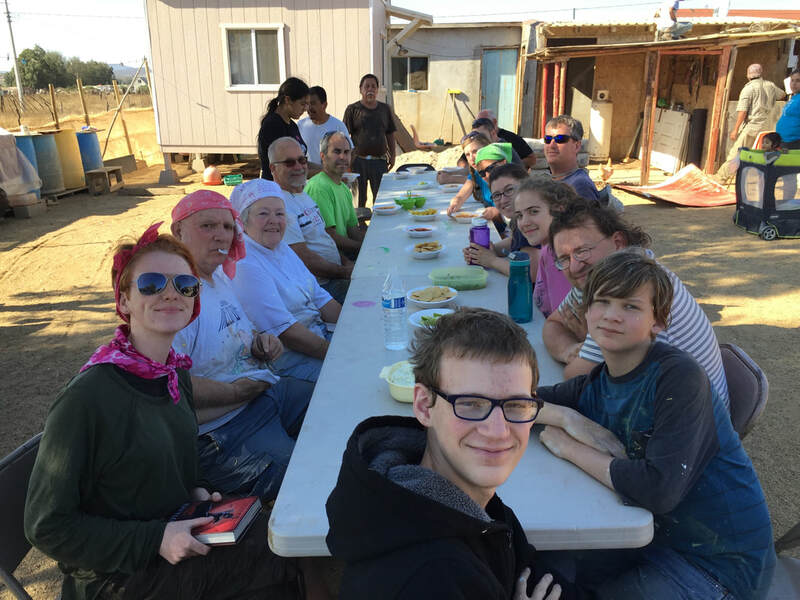 Several times a week, the bus goes out to the Migrant Farms in the area to shuttle families into bible study at the church. These are families that otherwise would have no other means to leave their home. It is a bumpy ride, but a blessing nonetheless. Back to the kitchen; after the temporary kitchen was removed, Bill and his team prepped the site for the pour, framing in windows, doors and walls for the extension of the house. There is a lot of prep work involved for such a large project (maybe 10' x 15' ) but they got it done just in time for the second crew to come in and work on the floor today. In most of Mexico, it is to expensive to have concrete delivered to your site. Most cement is mixed with gravel, water and sand on site to form concrete for any pours ranging from walls to full foundations and floors. The funny thing is, a lot of this is even more manual work. I have seen two guys filling one of these dump trucks (2 yards even) throwing shovels full of sand up over the side of the box in a dry river bed. That's hard work! After the dump truck dumps the load of sand and gravel, we scoop it in the mixer at different ratios depending on the type of pour we are doing. I have mixed enough concrete by hand in my years to know a mixer is a blessing when you have one (I also have the scars to prove how fast and furious the work can be during a big pour). 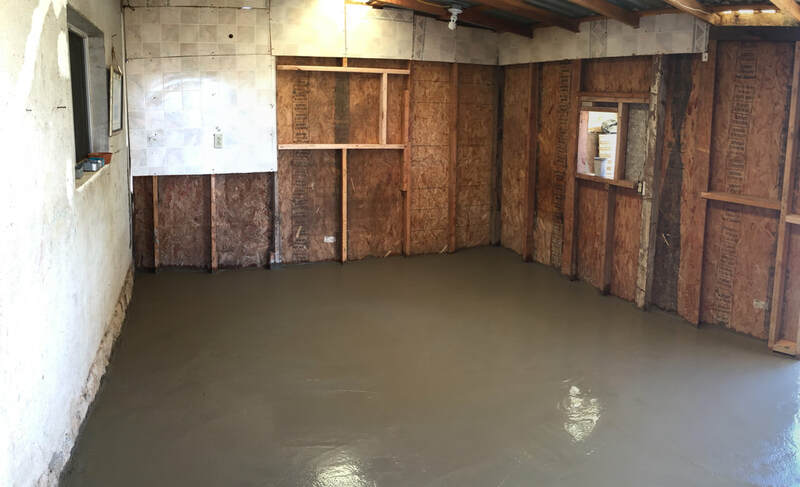 For this floor pour we did a 4" slab, reinforced with rebar. Jonathan and Matthew looked like stone men covered in dust as they pushed over each bag of cement and split it in half with a piece of rebar. Each bag is a bit larger than the ones you find at the US Home Depots at over 110 lbs apiece. Once the cement is mixed thoroughly into concrete, we run over with the wheelbarrows to ferry it to the floor. These wheelbarrows are often hundreds of pounds with a full load. Its a rush to pour it in the floor, and trowel it out to a relatively even height. Sarah is a BEAST with a trowel. You'd think she'd done this before. She troweled out the piles as we brought them in and then Rudy and I screed the slab to a level 4". After this, we brought out the giant float and floated out the entire floor to a smooth finish! An occasion on completion of the floor for a selfie with Maria, the owner of the house. Johnny, Rudy's assistant, is ever present, a man of few words, and always ready to lend a hand. Ever do roll roofing on a bathroom in 80 degree weather? Now we can say we have. Mckenzie was up there (not pictured) following in her moms careful footsteps doing trim work and finish work on the roof. Today was my first opportunity to help out at the Casa Del Pastor (House of the Shepard). The Casa houses eleven moms and about thirty-six children. When we first drove up to the building, you could see a hub of activity-young children playing in the main courtyard, older children sweeping the patio, and cheerful voices as everyone started the day. Our mission for the day was to paint the eaves on the upper story. The main building is orange with blue trim. Our job was to repaint the white eaves without any of the paint touching the others colors! We cheerfully jumped into work mode, dusting the eaves and chasing away any cobwebs, ants, and spiders. Plastic was laid down and we armed ourselves with paint brushes, rollers, and ladders. Once we worked out our individual roles for the painting job, a rhythm fell into place with everyone having a job. We made it about a third of the way through the first row before we stopped for lunch. By that time, I was definitely ready for a break! We went to the dining room at the Casa to eat. I loved seeing all the children come in for their afternoon meal. Hearing the excited chatter and smiling faces as each child grabbed their bowls showed just a tiny portion of what the Casa provides for these students each day-food and shelter but most importantly a home. I felt honored that I was able to do a small part of helping with the upkeep. I returned to painting and helped complete a bit more of the project. Not long after lunch, Mackenzie and I were asked to help with another project. 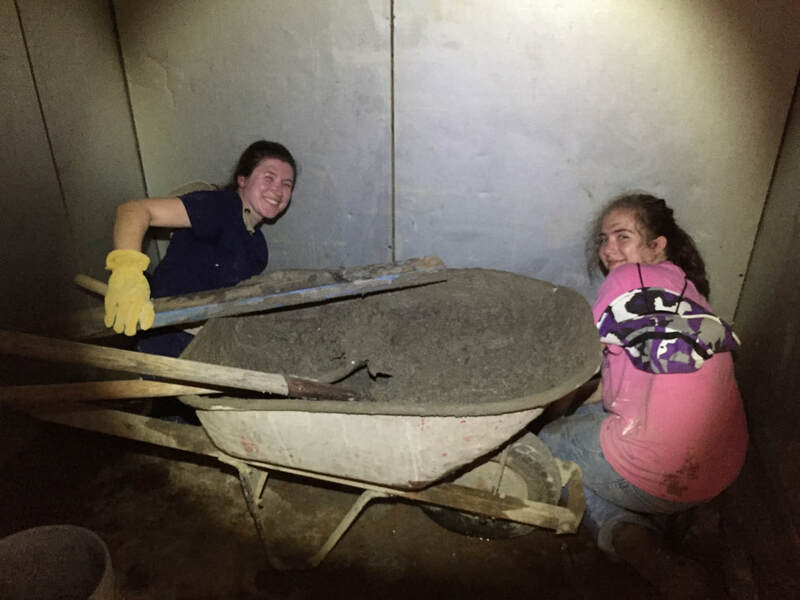 We eagerly ran to help mix concrete for a barrier in a freezer in the kitchen. Boy did I underestimate concrete mixing! I now have a new appreciate for concrete mixers! I learned how to mix concrete, sand, gravel, and water in a wheelbarrow using only a shovel and lots of arm power. With a little, or lot, of help we wheeled the mixture to the freezer and began to spread it around the edges to form a barrier to fill the inch wide crack around the perimeter. With lots of measuring, pouring, smoothing, and reshaping, I finished my first "concrete" project. At the end of the day, it felt great to have been able to help on both projects at the Casa. I am excited to see what new skills and projects the rest of the trip brings! Short update today. Lots of work at one of the Church Member's houses, we are working on putting in a kitchen for his family. 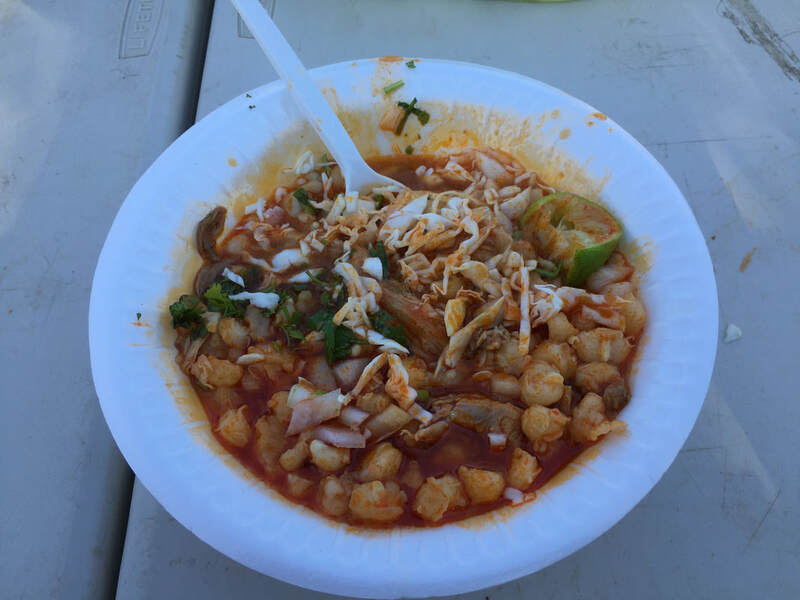 partial demolition of the temporary kitchen in prep for the pour lead to my personal favorite- outdoor pesole in ranchero soup. Delicious! This is the second year that we have elected to join families from the church in sharing meals, testimonies and stories. We help out with the cost of the meals, providing a financial blessing to the families that host us. I will have to see if we can collect more photos from the day from the other groups, but a large update tomorrow! Sorry for the delay- we have been very busy! Sorry about the delay in posting- we have been having some wifi issues, so there has not been a good connection to share pictures or hop online. Felix and Juanita are one of the greatest examples of how God can work within two people's lives to a fruitful and bountiful marriage. 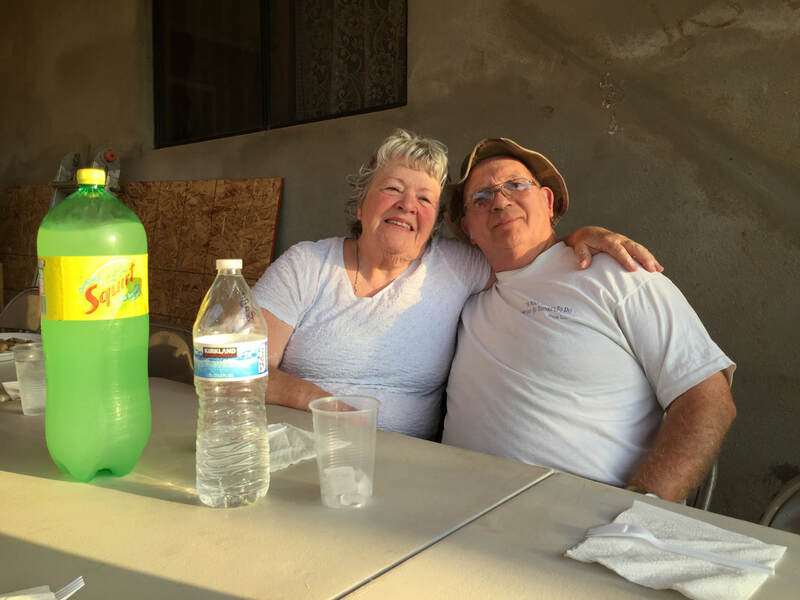 We have known them probably a good 10 years now, and it has been amazing to see what God has done, bringing them from broken relationships and personal struggles, to both of them being a pillar of the community at Casa del Pastor and a beaming example of a blessed relationship. I cannot write their story here, but ask Sandy or any of us who have had the pleasure of growing with them over the years, and you will know God's work in their lives. I recall an episode of Batman the Animated Series from my childhood, called, "The Forgotten" in which an undercover Bruce Wayne is thrown into a mining camp in the middle of a desert canyon with a bunch of missing prisoners. As punishment for perceived misbehaving, the warden forces Bruce Wayne (Batman) to do "time in the box"- a literal metal box built for the purpose of sweating it out to teach people a lesson under the hot sun until they either give up or pass out. I have seen "the box" and it comes in the form of a Mexican Walk-in Freezer in San Vicente, and I now fear it. From my understanding a 10' x 10' walk-in freezer was built into the walls of the Casa del Pastor's new facility. Before all the walls could be erected, and security was in place a number of years ago, the copper from the freezer condenser was stripped and taken by thieves. Without the resources to rewire the freezer, this giant metal box was just that; no longer a functioning freezer, but now a giant metal storage room in the back of the kitchen. It would turn out that the box was the perfect place for a little mouse haven, with food, water and bedding close by as they tunneled their way happily through the 2" thick foam insulation creating a network of what I would assume is a mouse super highway within the walls. The mice quickly needed to be evicted as they were getting into the food stores, so Heath and I were tasked with cleaning out the freezer and removing whatever was left of them. Why do I refer to this as "the box", and why was I flooded with distant memories of cartoons from my childhood? This box was easily 20 degrees hotter than the outside weather; and with temps hitting 80 degrees in the day, it was well over 100 degrees in this tiny room. Heath and I were given shovels, dust masks and an battery powered sawzall for the task. Dripping sweat and the smells that permeated the air from the remnants of our little guests ensured that we felt a lot less like Batman and a lot more like the undercover prisoner Bruce Wayne. To top it all off, since the wire was all stripped we had to work in the dark using our cell phone flashlights to illuminate our task. 4-Hours of scraping, shoveling, pulling and tearing had us tear out sheet metal and a flurry of chunks of dirty foam from that freezer floor. It was a fight, but something about being there holded up in a box with Heath serving in whatever way we could felt right. Mexican Freezer Cleanout- Its a Dirty Job! Later that day, the girls worked with us after the freezer was clean on the second phase of the project. In fact, thinking back on this, it probably wouldn't have been so bad had we chose to work during a cooler part of the day. But I digress... the girls did a fantastic job of pouring and forming a 6 inch lip around the base of the freezer walls to permanently prevent any other mouse issues. Under the watchful eye of Felix, the learned how to form, pour and finish concrete. We concluded the evening with a wonderful meal at Marcelino's house. 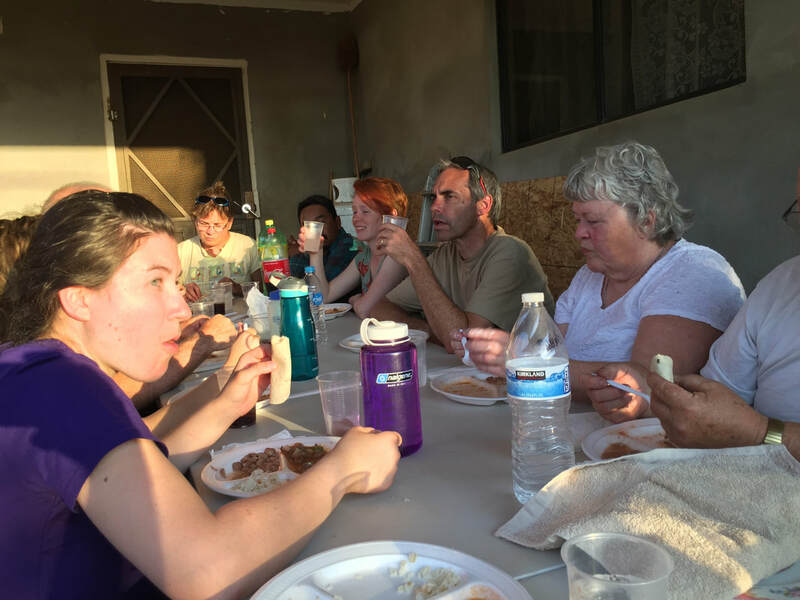 His family treated us to a meal of beans, rice, tortillas and a soup with tomato, tomateo, cactus and onions. It was great to socialize and to celebrate a work's days well done. It is good to be amongst family, friends and brothers and Sisters in Christ. God is Good indeed! I would also like to say how amazing technology is to bridge gaps across the border and across language barriers. It has been nearly 20 years and I have only been able to have very basic conversations with many of my friends in Mexico. I realize that it is entirely due to me not taking my spanish studies entirely seriously, and subsequently forgetting most of what I learned in high school. But I have a little story to share..
Felix and I are in "the box" sweating and I am asking him if he has a "cats paw" to pull up the metal plating in the bottom of the freezer. I am also trying to explain the plan for pouring the 6" lip around the base of the walls when I am done- I dry diagrams, gesture wildly, but still we cannot understand each other. Felix, sensing my frustrations and the concurrent "no intiendos" whips out is cell phone, turns data on and cues up GOOGLE TRANSLATE. We planned to hold a big party for all the girls that were turning 15 this year. In Mexican culture, this is called the Quinceanera. It is a coming of age party that is celebrated by families, and has all the importance of a wedding or a baptism, or a confirmation- a really big event with all your family and friends. This whole plan came to be from a single Facebook notification that popped up on someones newsfeed from one of the girls with an upcoming birthday. 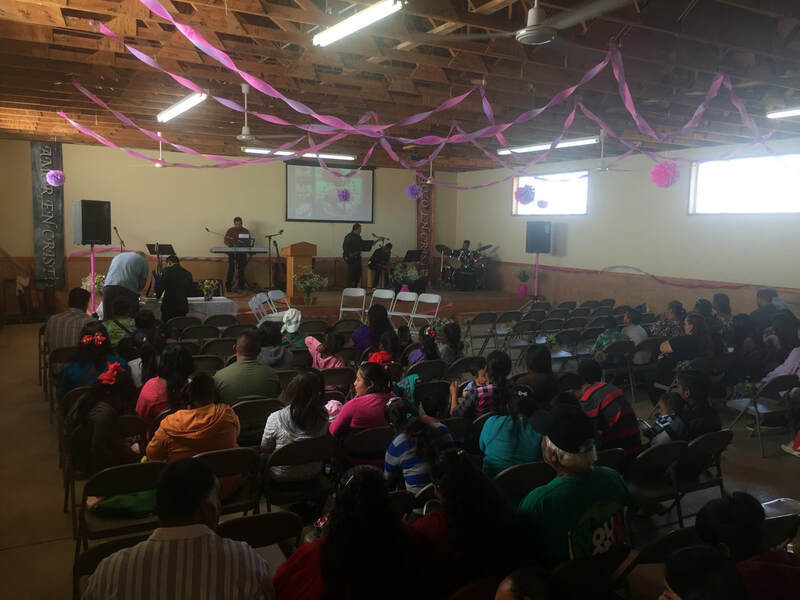 Since these events are such big events, we worked with pastor Rudy's church in Colonet to throw a party all the girls in the congregation with all the music, flowers and banquet to go along with it. Before the Quinceañera, all eight of the girls participating had to buy their dresses weeks in advance, they were all beautiful floral patterns, as this was going to be the theme. We had three girls from Rainier View participating and five girls from San Vicente and Colonet where Rudy's church is. We were all very nervous and were kind of unsure what was going to happen. During the service not very much was translated in English. From a participants point of view it was very nerve-racking but ultimately a very fascinating experience. I personally already knew what happens at Quinceañera's because of family and friends. I was luck enough to have gone to one of my friends Quinceaneras before, but is really is different when you are the one up in front of everyone. For others who had not witnessed an event like this, I think it was definitely a surprise to some of us. After the cereomony we went out to eat in forty foot tents that were set up the day before, which took all day to make sure that they would not blow away in the wind. The ladies from the church worked very hard to cook Chicken, rice, and a cabbage pasta salad. All of the girls were walked down the aisle by a family member or family friend. There was a song that was being played as we walked down the aisle, it was specifically for Quinceañera's . During the service all of the girls were given bibles and a bouquet of flowers. After the Quinceañera we took tons of pictures! We spent lots of time setting up elaborate decorations, and put together stunning flower bouquets. The actual Quinceañera was about four hours long, however all the time and preparation put into it was outstanding, I am very delighted that i was able to be apart of the experience. A brief slideshow of the girls and their families at the party. I think we had 200+ People there- many of which were families that did not regularly attend church! They all came to see their daughters, sisters, cousins and friends to support them in this transition to young womanhood. In the video is the procession to the stage, with each young woman being escorted by their fathers, mothers or trusted family members to the front of the stage. Today, Team B, One of our designated groups, Woke up and set up breakfast. After two hours of waking up, we broke up into our groups for discipleship. Then, we got to work. First, we quickly drove to Rudy's house. (Rudy is the church's pastor) To move decorations to the church for the Quinceanera, And drove them over. We built two large canopy tents to protect the Quinceanera from the Hot Baja Californian Sun! The group of girls worked on creating beautiful flower designs for the Quinceanera. After all the Streamers were set up, which took quite a lot of work by almost everyone, We left the Church to return home, Only to meet up with Jeanie, the Casa co-leader. (The House for recovering single mothers) And listen to the touching and emotional testimony of Nati, and how she was brought to Christ. Finally, our day was over, and we went for street tacos! And Ice cream! Now, we are back home, Our home away from home, and many of us went to bed. In fact, Because tomorrow will be a big day, I am going to go to bed myself. See you all later! First Task of the day was to do a little round-robin to visit the work sites. 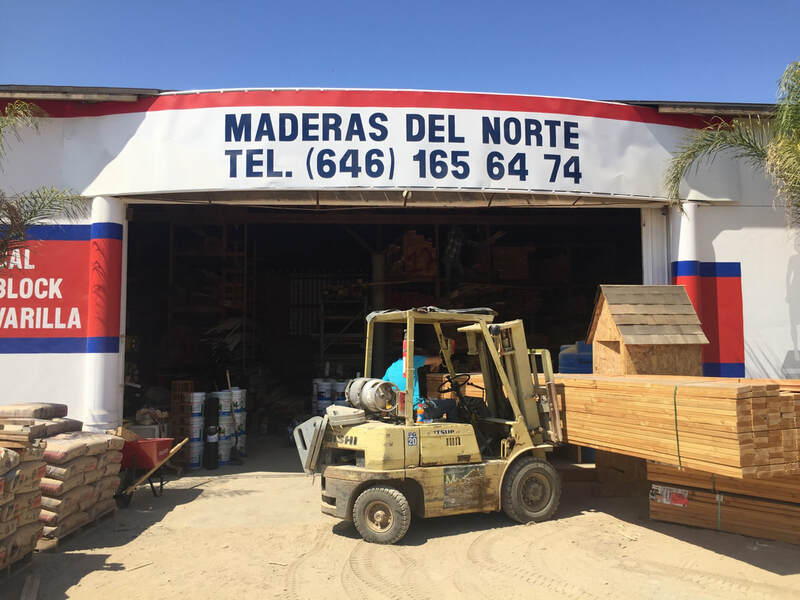 We know the afternoon would be quickly filled with preparation for the quinceanera, but we had to get a good look at some of the construction projects to begin ordering supplies. 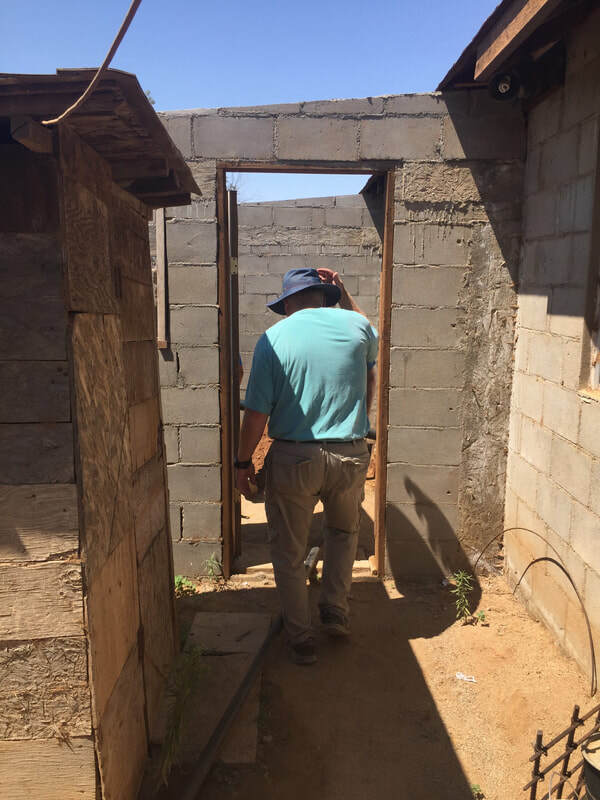 Pictured above is the bathroom project that we will begin working on for Pastor Marcelino and his wife. 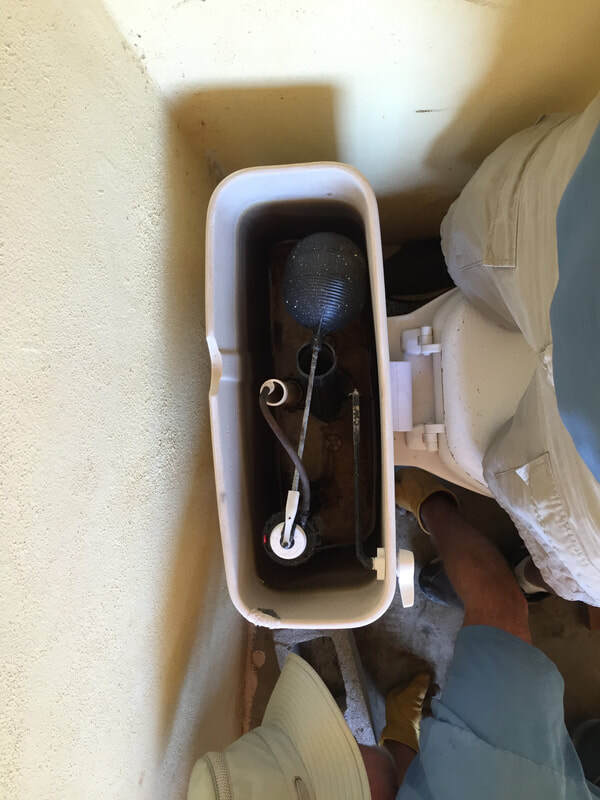 For the last 10 years, Marcelino has lived in a modest house we helped put the walls up for years ago, but up until this point, we had no idea he had been living without a in house restroom. His family of 5 has been using outhouses for the past years, as demands of work, the church and his family has taken priority in his life. His self-sacrificing attitude is something that I have found in virtually every local person I have worked with in Mexico over the years, over the long term. As americans it is interesting to see that every bit of money that we donate or raise for projects, goes to just that- projects and building relationships, to the point of self sacrifice. In the case, it was only a small sum of dollars needed to complete the bathroom, and start the septic tank for him; but this was something that would have taken months, if not years to be completed on his own due to having a little bit of money here and there, and even less time to devote to such a project. 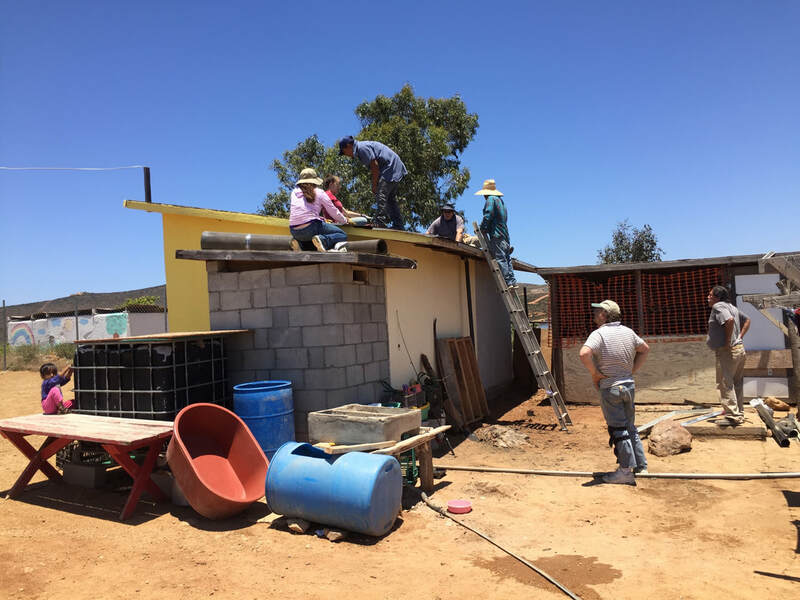 Marcelino had already got the bathroom project ready with plumbing before we got there, and he had completed the walls, and readied some of the electrical. He already had the holes cut out where the windows could be framed in. 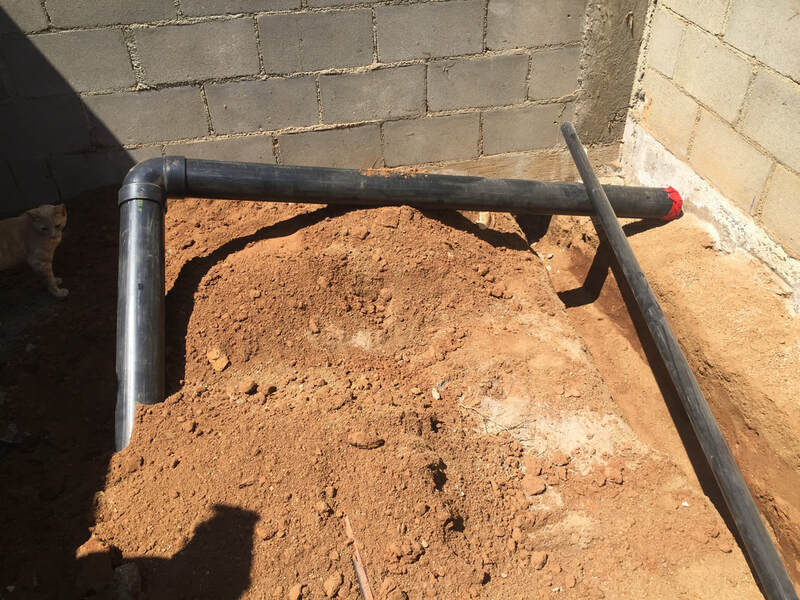 Pictured above, i believe are the pipes for the toilet and greywater for the bathroom drain. Hopefully, we will be able to bless him with the completion of this bathroom before weeks end, with the framed and hung windows, a roof, toilette and sink installation, lights and mirror and a sturdy door. As for Quinceanera prep, the wheels are already in motion. 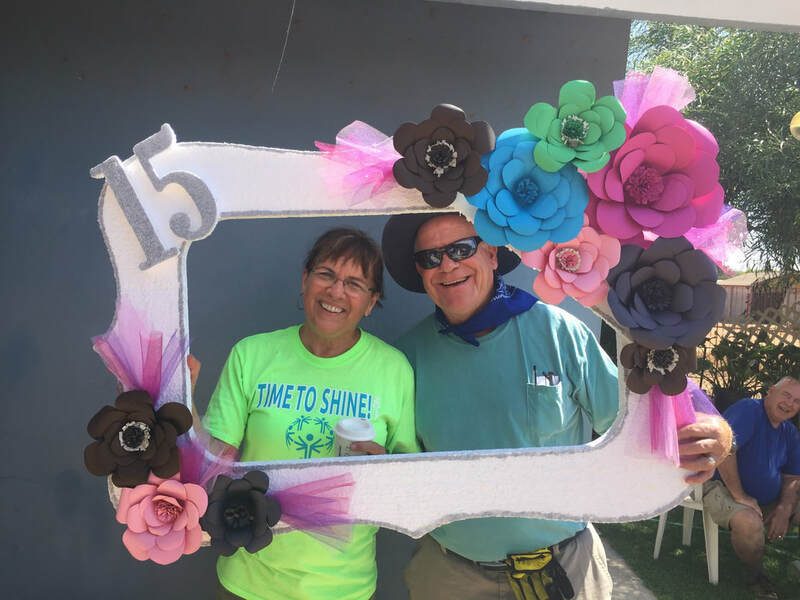 Pastor Rudy and his wife Disoy (and really all of the church in Colonet) have been working away to get the party ready. The girls 8(!) girls that we will be honoring have been given a small amount of money to purchase a dress, shoes and accessories for their big day. Flowers have been ordered, and a new bathroom on the church property has been built just in time to accommodate the large number of people we come to expect at the party. We still have quite a lot of work to do, but there is nothing like hitting the ground running! Saben and I put new locks on the doors to the old bathrooms, while Matthew Hacker, Sandy and some of the others worked to finish the plumbing of some urinals. I think the journey to the Mexican hardware store is a great first experience for any US handyman, trying to describe exactly what PVC pipe you need to complete the job using spanglish, a construction dictionary and some crude drawings on the back of a napkin. It's even more of an experience when you do this over the phone with whoever gets chosen to be the go-fer for the day, and you have to relay what you want from the worksite to the shop over the phone in broken spanish. 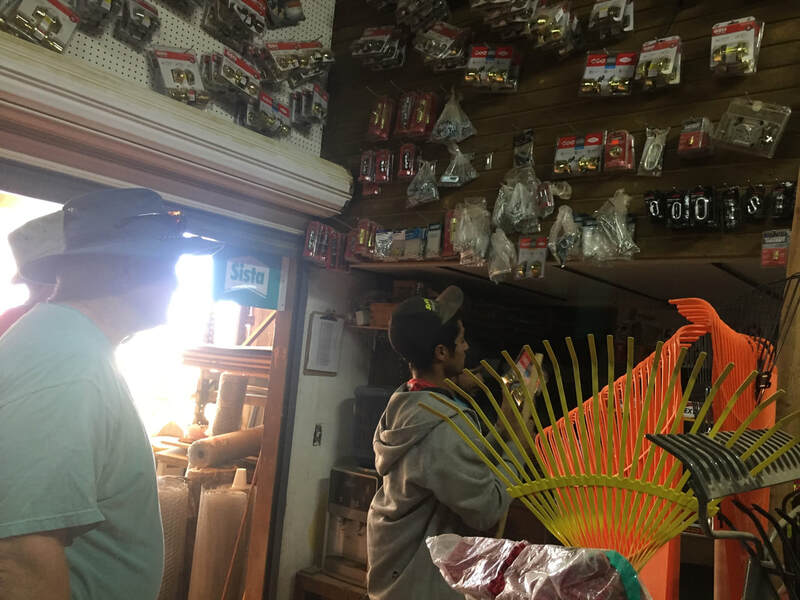 Inside the hardware store with Sandy and crew! Saben and one of the local kids (Paco's son, who is the church groundskeeper/ live-in security guy) work together to set a door knob in place on one of the men's bathrooms at the church in Colonet. There's an awesome video of Peter, Heath and I standing over this toilette trying to reseat it on the new wax ring, covered in dirt and sweat.. unfortunately this isn't it. Props for a well-crafted photo-op. 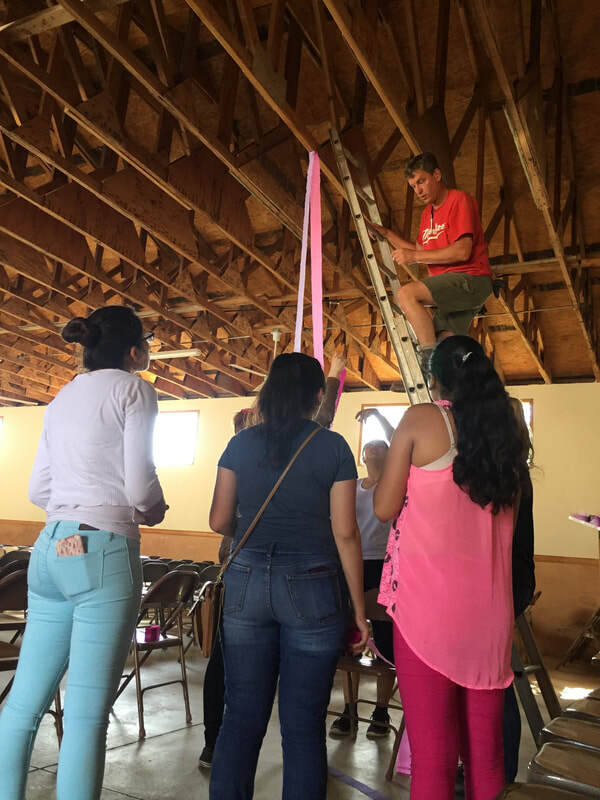 Bill practices swirling twirling craft paper while hanging from a ladder. 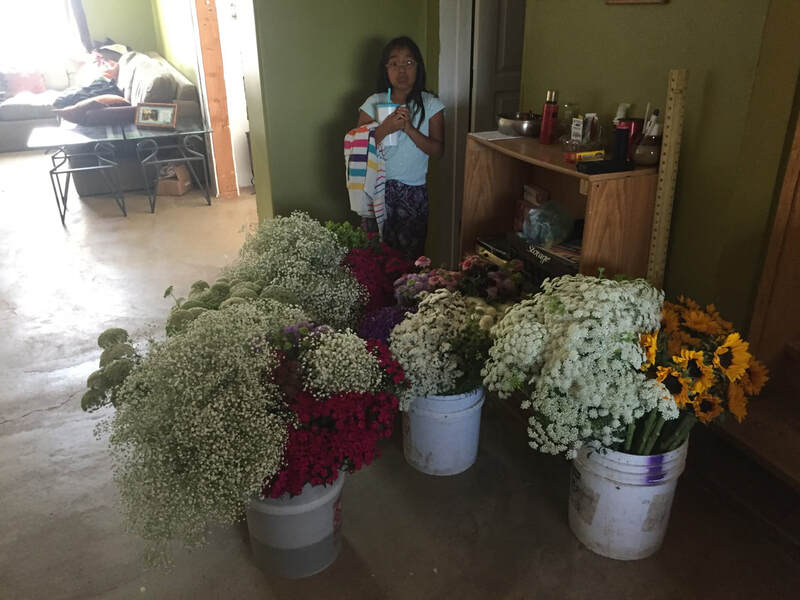 Buckets of flowers donated for the party getting ready to be put in the refrigerator at Rudy and Diosey's house. Many of us woke up to the sound of birds this morning. A select few of us managed to roll out of bed to "make" breakfast for the rest. Making breakfast mostly included setting out cereal and bowls. One adventurous soul scrambled and fried some eggs. Along with the somewhat basic breakfast came the wonderful bliss of drip coffee. Not as good as Starbucks, but hey, who am I to complain? We're in Mexico. Even lunch was prepared: 45 sandwiches for only 18 people to eat in one day... I'm not sure who's idea that was. I can hardly eat one sandwich by myself. Anyway, I've been told devotions are soon. Or maybe not. I'm still pretty tired. See you in the next post. Or rather, welcome from Mexico. 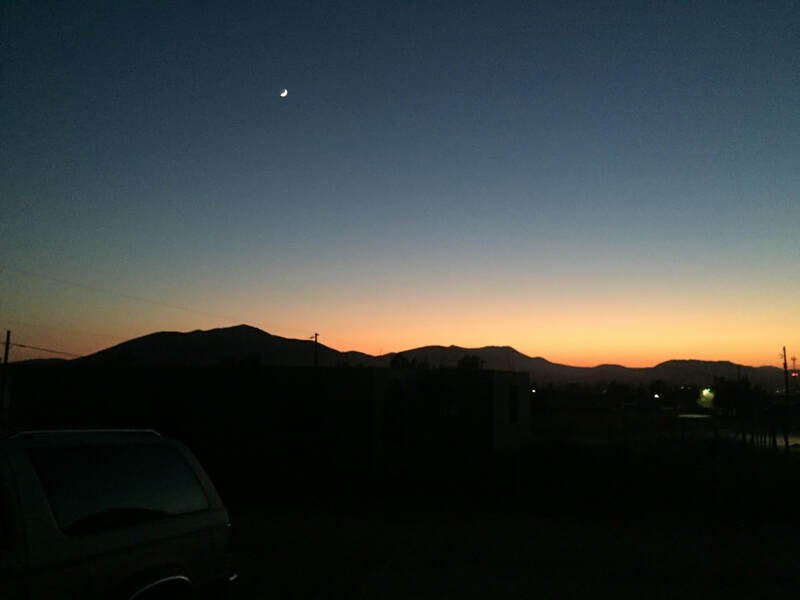 ​From the airport, we jumped in our 2 15-passenger vans and headed down across the boarder to the Baja. 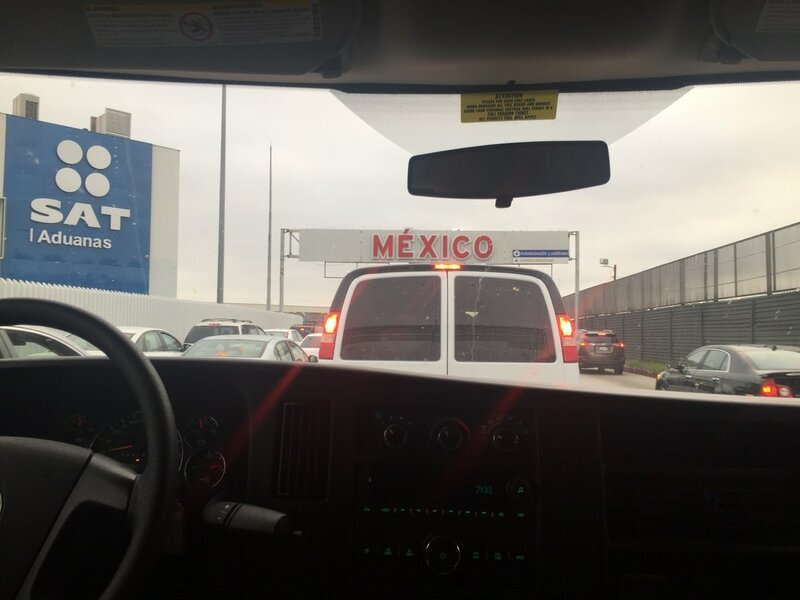 We hit heavy traffic as we crossed into Mexico, and one of our vehicles was flagged for inspection. However, with a friendly smile, the boarder agent quickly checked our cab, and the back doors and waved us on through without issue. ​The girls noted that there is always a little rebar sticking up out of the tops of buildings, or some blocks that are not quite complete finished on people's homes and businesses. Our understanding is that in Mexico, you do not pay taxes on the property or building until construction is complete, thus the rebar signifying the work is never finished. Some may see it as a loophole (which it is) but I see it as an undying hope- an optimism for the future. ​We pass big tractor trailers carrying goods up and down the coast, a woman and a baby on a little moped, and vans and pickup trucks in various states of repair. As more and more Americans move south to retire on the Baja, it has brought somewhat of a boom to the area. Once just a popular cruise ship destination, the port city of Ensenada has seen tremendous growth. We pass Sam's Club, a Costco, a Home Depot and a Pugot dealership offering anything you could find in America plus just a little more. 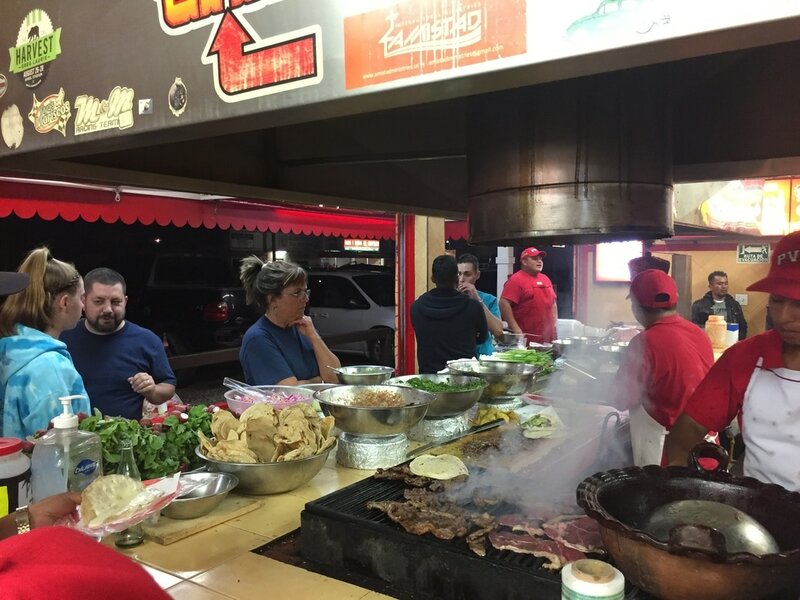 After a brief stop at Walmart, we were able to grab some dinner at what has become the first traditional spot for authentic Mexican tacos- Tacos El Poblano PVA. Fresh carne asada beef tacos, and tacos al pastor. Al pastor, also known as tacos al pastor, is a dish developed in Central Mexico, shawarma spit-grilled meat brought by the Lebanese immigrants to Mexico. Being derived from shawarma, it is also similar to the Turkish döner kebab and the Greek gyros. Although shawarma and döner are usually lamb-based, gyros and tacos al pastor in Mexico are pork based. In some places of northern Mexico, as in Baja California, this taco is called Taco de Adobada. From there it was back on the road into the night, towards San Vicente. We made it in about 11:00 PM, safe and sound at Max's place where we are staying. More pictures to follow tomorrow, but now I have to get some rest.